The year of 2018 has brought in a lot of long weekends for us to relax and rejuvenate by moving away from our mundane schedules. The upcoming long weekend is the perfect time to plan a holiday to treat those vacay blues. Since technology plays a major role in planning, enjoying and capturing the best moments, here are 5 must haves to make the most of this long weekend trip. Do you wish to explore cities around Delhi? Uber Intercity provides the most convenient and affordable option to explore cities like Jaipur and Chandigarh. The service is available around the clock on-demand with the flexibility to select your pick up and drop off location and choose between Intercity-Hatch or Intercity-Sedan. Don’t let another long weekend slip you by. After all, your family vacation is now just a tap away. Gone are the days when you used to carry your digital cameras to capture the beautiful moments with your friends and family. 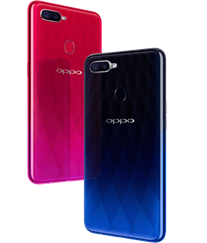 With the OPPO F9 Pro at our disposal, we get to click natural and intelligent Selfies all day long because of the VOOC Charge technology that uses low voltage and high current charging solution. The Smartphone also offers a waterdrop screen that features a 90.8% screen to take the viewing experience for the users to the next level! It acts as perfect accessory to carry over the long weekend to flaunt some Selfies on social media. 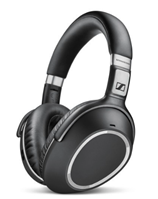 German audio specialist, Sennheiser, redefines smart travel experience with the Sennheiser PXC 550 Wireless headphones which deliver a long-haul performance for travellers seeking the ultimate experience. The new headphones by the audio specialist are an idol choice for travelling on road trips or otherwise as it lets you enjoy your music without any external noise disturbance.. A smart travel companion, the PXC 550 Wireless delivers Sennheiser’s renowned high-quality sound and up to 30 hours of battery performance in a sleek wireless headphone. Long weekends for many people means chilling with friends and family to de-stress after a long and busy week while for some it means de-stressing by exercising or playing football or going for a swim. Fitbit launched the Versa, which is a smartwatch that not only looks good but helps you track your every move and keeps you motivated by giving you reminders. 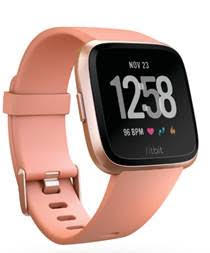 With a sleek and stylish design, Fitbit Versa helps you track your fitness on the go while providing deep and helpful insights on your overall health and wellness like sleep tracking, heart rate, calorie intake, active minutes and also motivates you to be on the move with constant reminders. In addition to this, Fitbit also tracks female health while helping its users better understand their menstruation cycle, fertility, among others. The Versa comes with a battery life which lasts for 4+ days plus to keep you going even on a vacation. The onscreen coaching feature also helps you be ready for a fitness routine anytime, anywhere. Available in black, grey and peach, you can lay your hands on it at a price of INR 19,999.